O.K. that’s probably not what you wanted to hear, but in fact it’s a bad question. It doesn’t really matter how many properties you own. What is more important is the value of your asset base and how hard your money works for you. Because I’d rather own one Westfield Shopping Centre than 50 secondary properties in regional Australia. 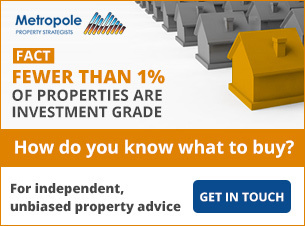 How will you live off your property portfolio? While many property investors know they want their properties to replace their income, I’ve found most don’t actually think about how they’ll actually achieve financial freedom. They don’t have a strategy. They just hope it will happen. Other investors think that they’ll live off their rental income, yet I rarely see this happen. It’s just too hard to grow a portfolio of cash flow positive properties of a sufficient size to replace your income. On the other hand, the wealthy investors I deal with have built a cash machine by growing a substantial asset base of high growth properties, and then lowering their loan to value ratios (LVR) so they can transition into the next phase, the cash flow phase of their investment life. They lower their LVR in a variety of ways. Stop (or slow down) buying properties, so that while the value of their portfolio keeps rising, their loans remain much the same. But the first stage of their wealth creation strategy always involves building a substantial asset base. Can’t I just live off the rent? Let’s say you want an annual after tax income of $100,000. If your plan is to eventually pay down your debt and live off the rent, you’ll probably need at least $4million worth of properties with no mortgage to achieve that $100,000 after tax income. The average gross yield for well located properties in Australia is around 4%, but let’s be generous and say you earn a 4.5% yield across your property portfolio. This means if you eventually own $1 million worth of properties with no debt, you’ll get $45,000 rent. But you’ll still have to pay rates and taxes and agents commissions and repairs; leaving you with something like $35,000 a year. And then you’ll have to pay tax on this income. When you do the sums you’ll see that you need an unencumbered portfolio worth at least $4million to earn that $100,000 a year after tax. Remember that’s $4 million worth of property and no mortgage debt, otherwise your cash flow will be lower. And of course you’ll also need to own your own home with no debt against it. Will you ever be able to save $4million? Will you ever build a portfolio that size on a few dollars a week positive cash flow from your rents? By now it should be clear that the only way to build a substantial asset base is to take advantage of leveraging and compounding growth of well located properties. In my mind the only way to become financially independent through property is to first grow a substantial asset base (by buying high growth properties) and then transitioning to the next stage – the cash flow stage – by lowering your debt, but not paying it off completely. Fast forward 10 or 15 years and imagine you own your own home plus $5million of well located investment properties. If you had a typical 80% Loan to Value Ratio, you would be negatively geared. On the other hand, if you had no debt against your property portfolio you would have positive cash flow, but would forego the benefits of leverage. Somewhere in the middle, maybe with a 50% LVR, your property portfolio would be self funding. You may even have a little cash flow left over, but not enough to live on. If you think about it, it will be much easier to amass a $5million property portfolio with $2.5 million of debt than the same size portfolio with no debt. You could then go to the bank and explain you’ve got a self-funding portfolio that isn’t reliant on your income and in fact, there’s a little cash left over for serviceability. You would then ask for an extra $100,000 loan, so you’re increasing your LVR slightly. The good news is that you don’t have to pay tax on this money because it’s not income. But you would have to pay interest, which won’t be tax deductible if you use the money for your living expenses. This means after the interest payments you’re left with around $93,000 to live off. At the end of the year, you’ve “eaten up” your $100,000; but in a good year, your $5 million property portfolio would increase in value by say $500,000. In an average year it will have increased in value by $400,000 and in a bad year it may have only gone up by $150,000 or $200,000. Of course your rents will also have increased because your properties have increased in value. Sure you’ve used up the $100,000 you borrowed, but because your portfolio has risen in value, along with rents, your LVR is less at the end of the year than the beginning, so you finish off the year richer than you began it. You truly have a cash machine, and then you can do this over and over again. In the old days living off equity was easy. You just had to go to the bank and get a low doc loan and as long as your properties increased in value it was smooth sailing. Sure it’s harder today, but it’s definitely do-able. You just have to lower your LVR to show serviceability to the banks. Needless to say, you can’t achieve this overnight. It takes time to build a substantial asset base and a comfortable loan-to-value ratio. But if you take advantage of the magic of leverage, compounding and time, it happens. 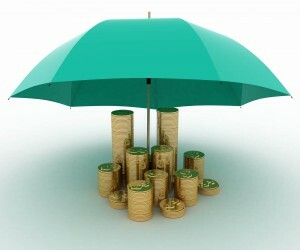 Do you have an asset protection plan? 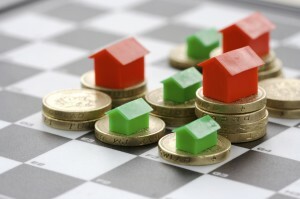 Of course this strategy depends on the growth in your property portfolio and your ability ride the property cycle. This means that as you build your asset base, buying high-growth properties and adding value, you will need an asset protection plan to see you through the ups and down that you’ll experience. After all, over the next 10 years we’ll have good times and bad. There will be periods of high interest rates and times of lower interest rates. And we’ll have periods of strong economic growth, but there will also be downturns. Savvy investors count on the good times but plan for the downturns by having an asset protection plan, as well as a finance and tax strategy to make sure they set up their structures in the most efficient way. Don’t get me wrong, while I’ve just made gaining financial freedom from property investing sound simple, it’s not easy. And that’s not a play on words. The fact is, around 20% of those who get involved in property investment sell up in the first year and close to half sell their property in the first 5 years. If you want to find out a bit more about what is happening in your local market and what our research suggests is in store for us, join us at a free property briefing in Melbourne, Sydney and Brisbane or with our associates in Perth. Please stop thinking of other people’s homes as an appropriate investment. It is unethical and a shift will eventually come. You don’t want to be who people are angry with when that happens in case it doesn’t go as pleasantly as we hope it would. Let me be very clear – people’s homes are NOT appropriate investments. Find something else to retire on. Hello, I am sure you know the answer to this, I am just a newbie, I am probably missing something. So if you need a LVR of best case 40% on 5 million dollars in property, that would mean $3 million is paid off and $2 million is owing on the loans right? You want 100k per year to live off. You ask the bank for a loan. They give you a loan. During that year, you need to pay your bills. One of the bills is interest on your loans. 2 millions dollars @ 5% on an interest only loan is 8333.33 per month according to the Aussie home loans calculator, or $99,999.96 per year. It seems like you would need the $100k loan per year from the bank just to pay the interest on the $2 million in debt you still have, and even then you would be running at a loss??? James – have you read any of my books? This concept is fully explained there and they all have a bonus of a calculator you can use to work out the sums. No I haven’t got your books yet, this article popped up in google when I searched “how many properties do you need to retire”. I’m sure if you can explain this to me I will buy your books though. Having the properties experience a capital growth of 350-400k doesn’t change that fact that you are only borrowing 100k from the bank in your example in the article above. The interest alone for that year would be close to $100k, regardless of how much your properties go up in value, know what I mean? So if you’re only borrowing 100k to live your year in retirement (as per the article above) and the interest cost alone is 99,999.96, you end up with $0.04 to live that year. Can I ask you, do you count the PPOR in the LVR calculations? 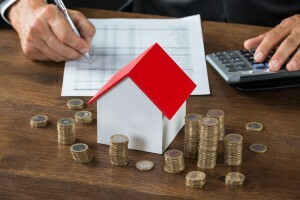 Does it depend whether there is a loan or not against the property? I guess the bottom line is that you count it in the LVR if it is secured against any loans? Many thanks for your assistance. Gary – thanks for the kind words. At the end – when you retire – you’ll need your own home without a mortgage plus an asset base with a 40% – 50% LVR. Sarah – I love your goals, the problem is if you do what most property investors do, you won’t achieve them. That’s clearly the fact – 50% of people who get into property investment give up in the first five years, and of those who stay in the game – 92% never get past this second property. You will never become rich that way. So keep reading and keep educating yourself and follow the mentorship of people who have achieved what you want to achieve, but be careful don’t believe everything you read. And most importantly build a sound team around you. This is a great article. I have watched most of your videos and read 02 of your books in addition to many other books. There are few questions on your “Living off Equity Strategy” that you have not explained clearly. If a person got a $5M portfolio generating 4.5% yield, it will generate around $225K gross income which will be taxed at the highest tax rate, leaving a net income of $145K . Then you need to pay Interest and holding cost on remaining $2.5M out of after tax income which will be much higher than the net rental income. It is not clear to me how a bank would lend any more money to a person approaching age of 60 having $2.5M debt and no other income to service the loan. (I am assuming the person to stop working completely at age of 60, the whole purpose of investing). On the other hand lenders will force you to pay off your principal, when you get older and refuse to lend any more funds…..
your strategy of borrowing $100K every year seem impractical…..Just because you have equity doesn’t mean it can be released without demonstrating serviceability (Capital + Interest). I have $1.45M worth of investment properties with 52% LVR and I have paid off my PPR fully. Still many banks strictly looks for serviceability even though I am not even 50 years. could you kindly explain with some numerical calculations how this strategy works. Don – I understand your concern because currently the banks are making it much more difficult than before and serviceability is measured differently esp. if you own multiple properties. However I know many people who are still comfortably using this strategy today -they have substantial portfolios and lowish LVR’s in the order of 40% and proficient finance brokers who understand the principle. We own our house. I have 2 investment flats/units with regular paying tenants installed (no mortgages at all). This is all good. Where to next? What would you recommend? I was thinking of buying a third and negatively gearing it?? My personal situation is one home valued at 2.5M two IPs valued at 3M. (total value 5.5M) – in Sydney inner west. OK position but the issue is I have high loan on home (1.6M) and moderate on IPs (1.5M) long story but have ended up with larger loan on home and about 20K positive on IPs. ( I do also have a 300K buffer loan available – again tied to my home..) I don’t really want to sell down but I’m curious if there is a smarter way.. I am 45 years old, but I would really like to start to spend more time doing what I link as I get into my 50s..
Hi Michael, you mention this strategy will work with properties owned in your own name or trusts. Whilst owning multiple properties through trusts is well documented as a sensible structure for building a property portfolio, have you seen it common place for high income salaried professionals who do not work in high risk industries to build a large portfolio in their own name? Assuming the portfolio will be largely negatively geared during the accumulation phase, in essence, favouring the tax/cashflow benefit over the asset protection? Yes I have seen it, but often those who do manage to build a substantial portfolio then regret they have their proeprties int he wrong entity. This is the problem with society.. people with money avoid tax and only the banks make money from them.. bending the system for your own short term gain is pretty much everyones aim .. eventually the system will bust from selfishness or more likely inequality will become greater and greater..
You’re advocating a method of tax avoidance here though, for personal gain. So certainly the wealthy people who pay all this tax are not people you have advised – as they pay none.. An electrician who is paying a mortgage who has 50k equity would pay more tax than these people who have been able to accumulate 2.5M in equity and now effectively do nothing more than oversee their property portfolio. There are also many issues resulting from people who manipulate the property market for personal gain. This Australian documentary highlights this https://vimeo.com/38500767 I would encourage people to look at it and consider the ethical consequences of their decisions on society as a whole. What kind of world do you want to live in? I’m not sure where I’m advocating tax avoidance – there’s nothing illegal suggested here. From what I understood, you’re saying instead of paying income tax on 100k made through rentals, tweak your’e LVR, take a bank loan, cop the 9% interest and save yourself about 20k in income tax. 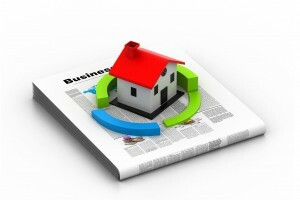 Keeping the cycle fed by growth in your property assets. I think it’s very clever and you’re right not at all illegal, however I believe it’s ethically wrong. What would a person following this advice be contributing to the country if they are neither working, nor paying any income tax? Should a person who has made anywhere from 150-400k in a year for simply holding an investment portfolio not be expected to contribute any tax, while a person working in a factory 40 hours a wk pays a large portion of their salary?? Do you believe that is fair? I don’t judge your advice, it’s brilliant in fact, however there is a clear ethical issue, which has many repercussions on society at large. Really the responsibility in my opinion lies in a shift in taxation laws from income/service towards a land tax of some form. I want to see the future of this country be as fair and as equal as possible, with opportunity for everyone who has a go. Unfortunately I fear this will not be the case. The issue of investors being able to make tax free profit is very much at the core of why that is so. I’m not saying these people are ugly or anything of the sort. I know for a fact many investors worked hard over decades to become financially comfortable. I just wonder whether a person making 100-450k a year from properties should not be required to pay any income tax? By employing your method they are able to avoid this. I would love to incorporate this into my own long term financial strategy, I just question whether it is a fair/right thing to do. I have 24 properties, in 7 buildings, 4 are paid off. Plus my own home. I think 24 renters are enough to retire on. Would you believe that after months of scouring the internet, yours is the only piece of information i’ve found that describes a realistic and understandable path for passive wealth creating through property investment? Would love to read more in depth about this strategy with some longer examples. Wait don’t tell me, I should read your book shouldn’t I? Maybe I will now! I am 39. I own my home outright. I have 2.5 mil cash. I would like to retire on after tax income of 100k per annum. From your article it sounds like I can just borrow 2.5m and control a 5m property portfolio, allowing me to retire right now. In Sydney suburbs close to the city center where properties have shown best growth and median prices are around 1.5mil it sounds like I only need 3 or 4 properties to achieve my retirement goal. Is this too simplistic or can I really retire shortly? Congratulations for what you’ve achieved so far. It sounds like you’re in a great position financially. The sums you suggest are correct, but it really depends on what sort of a lifestyle you desire. Most of my clients spend a lot more in retirement (enjoying their lives) than they do during the years they were working. So while you could have a very modest retirement now, I’d rather see you build a bigger asset base. Interesting article. It was over 30years old before I really understood the principles of compound growth and leverage described above, properly. I am still in the accumulation phase. I am 41 now with a good income and have 7 properties worth AUD 5M in 3 countries. I have a total AUD 2.8M mortgage. I will buy property number 8 this year. I am small in comparison to some investors here but have discovered some important points along the way through trial and error. 2. Get a good agent. A good agent will increase your chances of finding a good tenant. A good tenant will look after your place and pay rent on time. Cash flow is so important. Finally, while I don’t mind spending money ie. keeping maintenance up, or paying more for a better quality property, I absolutely hate wasting money. I haved worked hard in my life and negotiated good agreements along the way. As such, I have always been on the lookout for good quality buyers agents but find most are coy about their charges. Some even ask for a 90 minute interview to “discuss your needs” before they will discuss charges. Obviously in the long run a few extra thousand dollars here or there makes little difference, particularly if you buy a good property, that achieves growth. However, purchase costs make up a big part of ones ability to either enter the market or grow a portfolio further. As such, would you give readers some idea about what your charges are please? 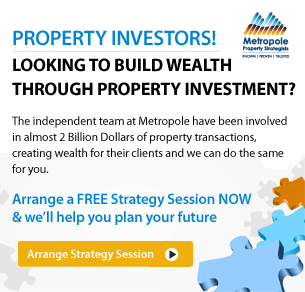 my team at Metropole are clearly Australia’s largest buyers agents and we don’t hide our fees. In fact they are given them in writing before they even meet us. Which structures will and won’t allow this ” living off equity ” ? Surely in a SMSF one cannot just UP THE viridian LOAN against increasing equity and go spend it. There are too many rules. Can you please advise us. Thanks for your reply – that now brings up more questions than anything for me though! Is it okay to ask here, or not really the place for it? I agree somewhat with what you say, although I would have to say the yields you mention are very low and it sounds like you rely solely on capital gains to make any money, apart from maybe a little bit of cashflow if the properties are positively geared. I live in NZ and have been investing for quite a few years now, also do a lot of trading etc. Currently I have 45 properties including a commercial one and the house I live in which has now mortgage. I used to have 65 or so a few years ago, but had a couple of hiccups along the way, one cost 1.5 million and the other also cost a lot, which was a separation from my partner. However I haven’t had a job now for 23 years, so overall things are working out well. I also wrote a book in NZ on property which has been a best seller here. The yields here I get in the city I live are over 10% if you can buy well, that is 80% or so of fair market value. Most people will say it is impossible to get that unless you go into areas that aren’t really suitable for renting to tenants, however if you buy well, then you can easily achieve that if you are patient. My loans are a mixture of interest only and P&I , about half and half and LVR approx 50% with a cashflow of approx $10k a month after expenses. With having 22 or so loans on P & I, this also pays off around $15,000 a month (which increases slightly each month) of principle. I have never relied on capital gains ever, and although the market has increased here like it does over time in most places, this I think is one of the major factors in people getting caught out. I have attended a few seminars in Australia over the years and always used to say to people – don’t keep refinancing and leveraging up when prices go up, property doesn’t always go up in value! Nobody listened and just thought I was stupid saying such things, but now when I look back and have seen how many of those same people went bankrupt, or very close to it, I wonder if they’d remember what was said to them. I am very conservative with investing so never rely on properties going up, in fact if anything I would prefer them to go down! The reason being, I could buy more with better yields. I’m sure in Australia you could get better yields than the 4.5% or so that Michael mentioned, my minimum is 8%, otherwise I just don’t buy (as a buy and hold). So overall borrowing for me currently is approx $4 million and $8 million of property. Slowly they wil get paid off and cashflow will keep increasing as each one gets paid off. At the moment 20 of the loans are less than $100k, although some of those are on I/O and will be paid off moreso with profits from trading. In NZ we don’t have stamp duty, so it makes trading a lot easier and profitable. Thanks again Michael, I do enjoy your articles. I enquired about the seminar you are running in Brisbane in May last week, so hopefully hear back from someone about it. Graeme Thanks for your comments. This system relies on capital growth and does NOT really work in NZ – the market is very different there. However many of our New Zealand clients invest this way in Australia and it’s worked well for them. Previously $10 mil was the amount mentioned before now it $5mil (I could be mistaken). what was the reasoning for halving it? I understand the concept, and it varies on individual requirements, but what was your line of thinking? People saving more, cost of living down, average expenses? Thanks David How much do you need – it really depends on how much money you want your cash machine to provide you. For some $5million will be enough but for many it won’t. Hi Michael, Im 43 with a small 50 acre lot with house valued at 720k I owe 170k Im wanting to buy another property. Im thinking I should buy into where I want to retire now and rent it out, so by the time it comes to retiring it will be worth a lot more and paid off, then I could sell my exciting house to live off. Or would you suggest start building a unit portfolio. Thanks for your question, I can’t give you specific advice, because I don’t know enough about you, but I definitely would NOT by a property near where you want to retire yet. 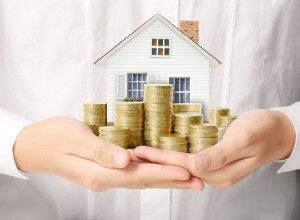 I would suggest you build your asset base by growing a significant property portfolio over the years. Thanks for a great article. My name is sebastian I am 25 and have four kids, I have one investement property with a mortgage of 225,000 that is worth 300,000 and am renting at the moment, I have an income of about 90,000 and I am really sturggling on what the way forward is for me and am looking for a mentor but cannot find anyone that will help. I live in melbourne is there anywhere you know of that I can find a mentor as I know after reading robert kyisoki books that it is important.? Hi,we are in our early 50’s and are looking at purchasing between 2 -4 Units in a low housing area in nsw,where units sell between $270,000 – $350,000 each,we are self employed and are comfortable with no mortgage and have a loan of 800k to invest,would you think with this loan would it be better to go for 3 low priced units or go for 1 or 2 middle of the road units. We know it all goes on what we can afford on repayments, but would it be better to go for the low cost units as we would like to build a portfolio of 10 – 15 properties before we retire. It’s not the number of properties you own that’s important – it’s the size of your asset base and the quality of your properties. Thanks I really enjoyed reading this. I’m a little embarrassed to say that my wife and I are in our mid forties with 2 very young kids, an $850K mortgage (prob $200K equity), $200K super and that’s it (we’ve always worked but a few things haven’t gone our way). With about 20 years left for us working, could we achieve this sort of thing with good income? Cam. Thanks for your comment – there is nothing you should be embarrassed about. Now it’s time to take action. Learn and educate yourself, then get a good team around you to help you formulate a plan and take action. Have you thought of moving into a rental property and adding your personal home into your business? A part time job on the weekend just to help until you can perhaps have a good look at refinancing your properties. Talk to your accountant about taxation and maybe getting your investment entitlement paid weekly on your career salary. It was nice to come across this article today and I have read your books and many others always looking for information to hone our property portfolio. Allowing time and compounding to work it’s magic does work. We have been investing since the 80’s have set goals and bought in the suburbs at first, sold them and then bought in inner city appartments. it is quite surreal and kind of like traiding up from houses to blocks of appartments in Monopoly. The apartments are in different cities so if one market is down the others are ok. Our kids now appreciate why they had to go without some of the things that their friends enjoyed and are both buying property even in today’s market. reading and still be able to comment. unable to grow the portfolio further. Both IPs are older houses are on large blocks. Development/subdivision will incur *additional* $$ so I am stuck. FXD, though in a much reduced position to yours, I sympathise. I need cash to develop my properties, in order to improve my position, and I can’t. The one I live in is all debt, which is the wrong way around, but the two investment ones are nearly paying for themselves. Catch-22. I could sell up one of the investment properties to develop the other, I guess, but it feels like a step backwards. P.S. It would be in the interests of the cashflow ‘no brainers’ and know it alls to read this expert article carefully and take note. This is a high risk approach for client to take, the suggestion being you maintain a lvr of 50% for the balance of your life? What happens if property prices fall for extended period and the bank won’t allow the extra drawdown tto fund your lifestyle? Suddenly you are recreating the GFC. If you run this strategy correctly, you’ll find your LVR’s get lower and lower – and your cashflow gets better and better. Have you read the full details of this strategy in my book – How to grow a multi million dollar property portfolio – in your spare time? How does one accumulate $5m worth of property and have it at a 50% lvr? That just seems remarkably unobtainable. By the time you are close your target will have moved due to inflation. Do you have any simulations of this type of accumulation. The simulation should use averages as inputs. I know it sounds a difficult task. It doesn’t happen overnight and you can’t do it through savings, rent or cash flow. 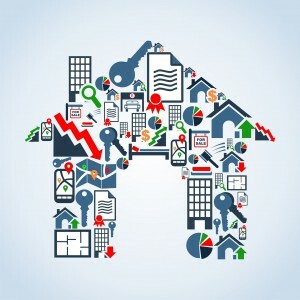 What is high growth property? Its good the way you reply to people and make connections. I find my self a little stumped, with two investment properties in good locations pretty much breaking even between them, but my home in a regional area is all debt (long story). This puts me in a silly position, if I sell the home to pay off the debt then I either have to rent or kick out a tenant, neither of which sound like a good idea! It would not be an issue if it were not for an uncertain employment future. Like another poster here, I can’t actually fund development on any of the three, all of which are capable. Any thoughts you could offer? You’re right – you’re not in a good position are you? Excelent article. In fact this should be taught in schools as part of the standard curriculum, in my opinion. Question: you use a 50% LVR in this example. What would be the maximum allowable LVR to safely adopt this strategy? Is 65% okay for example? I’m suggesting you lower your LVR’s to the point that your property portfolio services its own loans and even has a little surplus. Thanks Michael – this in one thing I have been working on – Strategy to retire from our Investment Properties. And yes every ones Circumstances are different – being self employed – we have no one paying us super so we decided Investment properties the way to go. Living in Regional Qld I found you must constantly be watching the market – and having been in the low period we are starting the grow period – so this is when you have to be ready to Value your properties to get the LVR’s correct to have properties stand alone – we borrowed 110% on each IP – but because value has grown so much in one property – we can release security from our PPR for 2 of our IPs – so the 1 IP is secured with the other IP so both are released from our PPR – but the timing must be right to get the correct LVRs needed to do this. But this helps asset protect our PPR – plus the 2 IPs are in a Trust. Everyone says dont sell – but because of our circumstances we own our PPR and will have to sell hopefully only one of our IPs to payout the others so we can 100% own them with no payments – and live off the rent. It is so important to realise Peoples Circumstances must be adopted to the Strategy you use to manage your Investment Porperties for retirement – and constantly update your plan to make it work!! I am actually planning my strategy around this basic concept but hadn’t realised that there are others doing it too! So it was a relief to read about it and give me confidence that I am in fact on the right track (for me!). My husband and I are glad to stick to our plan, and we are now half way there. Obviously it is not easy at all, at times we felt the pinch but my husband loves this quote “Is difficult but not impossible”. Thank you Michael for such good articles. Thankyou Michael for breaking it down so simply for all to understand. Thanks for another great article Michael. It gives a very different perspective. But, can it really be achieved today? Most Definately, In the last 10 years we had the war in iraq, tsunamis, 911 (ok11 years), and the GFC to name a few, but the medium price still more then doubled (especially Michael chosen areas). With the extra equity you borrow to build your asset base, and when you have that amount (for eg. 4-5mill) you let it grow some more (or pay it down) and borrow to live off. You live in the now, but you plan for the 5, 10, 20 years. Will the current problems be around next year – maybe, will other problems arise – yes, will it matter in the long term- no, cause it hasnt before. Is it possible – definitely – I’ve just arrived on the Gold Coast to spend 5 days with a group of investors at Wealth Retreat, who have done this – who are financially free. Is it easy – no it isn’t. It’s too easy to get attracted by the next “shiny toy” – and get rich quick schemes. Yet is some can do it – so can you! Hang on a second, that $100k borrowing will have ongoing interest correct? That interest isn’t therefore deductible is it? Unless you can say that was your full time job managing it right? and therefore these would need to be owned by a different entity? If you borrow interest to live on (rather than for business purposes) it is NOT deductible. 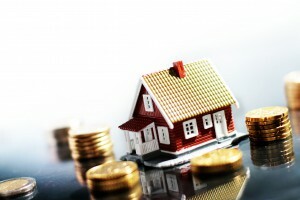 So let’s say your properties increased in value by $150,000 over the last year – that is income – it’s your equity/money. It’s passive income you didn’t have to work for. If you did work for it you’d pay 40% or more in tax and keep 60%. If you borrow against it you pay 5% in interest and keep 95%. I think you’re saying that if you increase your loan by $100,000, you’ll pay 5% in interest for the year, giving you $95,000 to spend. But won’t you also be charged 5% the year after, and forever more? I realise the LVR will constantly improve itself due to rising property values, but are you suggesting the rental income increases will cover the extra (and year-on-year ever increasing) repayments? Thanks for the reply below. – I don’t have credit cards or other loans. – Insurance is my single biggest cost apart from the mortgage, and I have to live somewhere. – There is nothing extra to put on the mortgage, or it would be there already (I am always in advance by a couple of thousand). The portfolio is growing at an average of 17.5K per year over the last 5 years; what I meant was they are literally on the positive gearing threshold. This should have been a secure position. Last year Centrelink penalised me with “deemed income” for having one negatively geared property, when I was unemployed for the first time in 25 years. This used up my reserves. I heed the advice not to sell, but between Govt policy and tough economic times, I can see my hard work going up in smoke. I’ll keep seeking inspiration from here, but I have realised the structure of our investment system does not work for lower income earners. Please don’t feel the need to justify your position – in fact I don’t know anything about you so my responses to comments are always very general.